Being a Central Queensland country girl, I never really ventured out of QLD throughout my childhood (except to the other side of the world to Ireland to see my family). Only in the last 3 years have I started to explore this beautiful country. With 5 days free between Christmas and New Years I couldn't resist the opportunity to get in the car with my partner and explore a new area I hadn't seen before. So... I did some research around the NSW coast, booked a flat on airbnb and away we went. 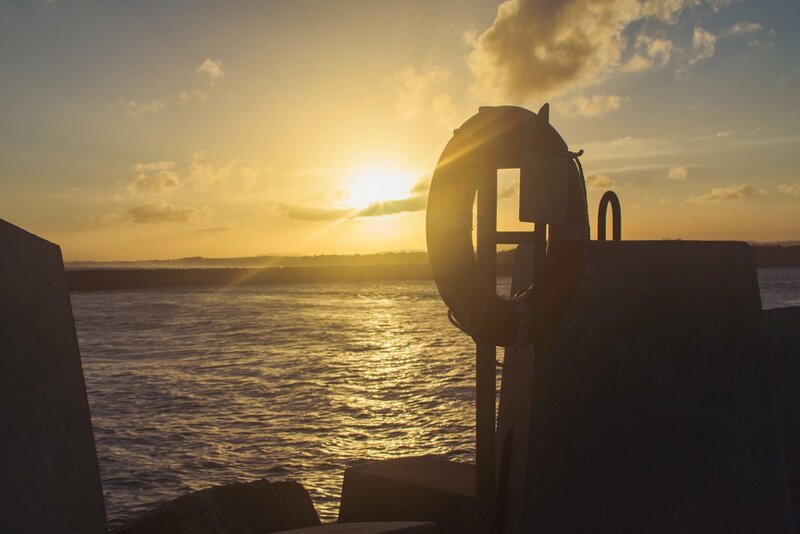 The NSW coast is an unbelievable location with prestige beaches, breathtaking lookouts, fresh seafood and a mix between the beach lifestyle and relaxed country living. 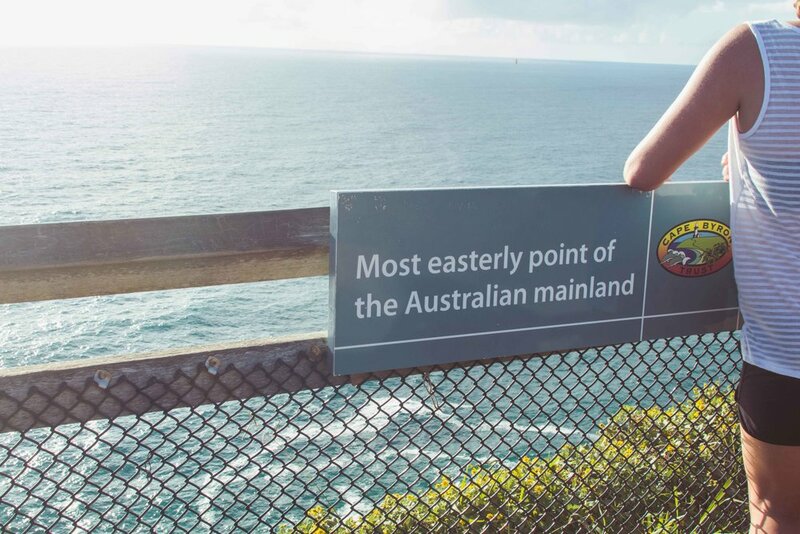 Only a close 2 hours from Brisbane, this is easily a weekend trip away. Below are the places we visited and some of the highlights, also featuring a video of our little adventure. We stayed at Ballina Heights at a lovely house (through airbnb) overlooking the countryside. This was a close 2 min drive to the Ballina Shopping Area with all the shops you would need - Woolworths, Target, Kmart, BWS, Anytime Fitness etc. 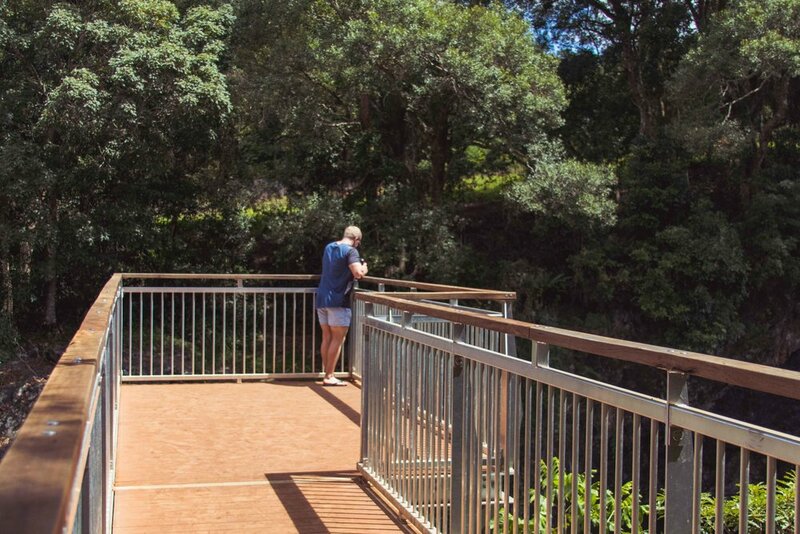 On our first day we visited the stunning Killen Falls which was only 15 mins from Ballina at Tintenbar and only a short walk down to the water - well worth it! That afternoon we drove to Shaws Bay and walked the North Wall scenic walk. Capturing a glimpse of some young boys jumping off into the deep waters where the ocean and the Richmond River meet as well as capturing a glimpse of some dolphins swimming in from the ocean. At the peak of the break-wall is Lighthouse beach which seems to be a popular spot for the surfers and also has the Lighthouse beach Cafe and Life Saving Club. There are information plaques along the walk about the history of Ballina for those that like their reading - we did! We enjoyed some fresh prawns and barra from the local seafood shop and got to see the giant prawn, we played some cricket at the sports field and we even still went to the gym (thanks to Anytime Fitness being all over the world). 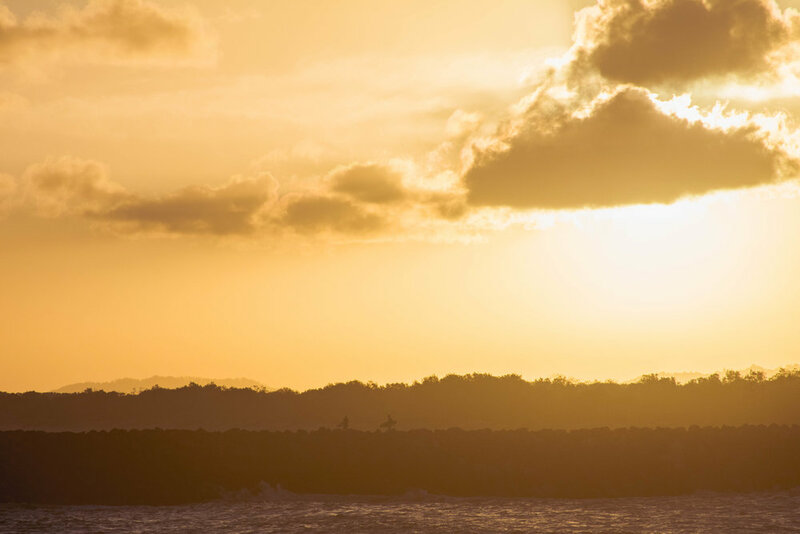 My favourite place was Lennox Head, it's a hidden gem! Tucked away close to Byron but much more quiet and relaxed. 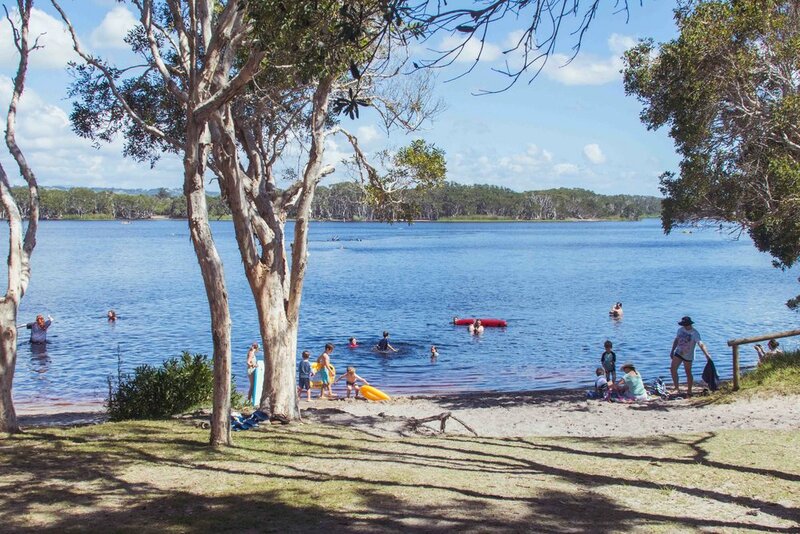 Not only did it have a number of beautiful beaches, it is blessed with Lake Ainsworth, a tea tree brown coloured lake right next to the coast. The water is beautiful and warm, calm water for stand up paddle boarding and we made the most of a cheap blow-up radio inflatable from K-mart to enjoy sun-baking in the lake. We admired the views from Pat Morton lookout, where tandem hang gliders were taking in the views of Lenox Point from above. There were locks lining the fences at the top of the lookout which was beautiful, we even found one from a wedding! We went to Sharpes Beach and took a boogie board to ride the waves and enjoyed some fish and chips at Fishy Fishy on the main street. This time of year was very busy for Byron due to Falls Festival and the Christmas period. We ventured out at 5am to get to the lighthouse before things got busy and enjoyed the early morning sun, wind and beautiful lookout. We went to the Byron Bay beach for an early swim and packed our own lunch for a picnic. For those wanting to explore Byron I would take advantage of the hop on-hop off bus that goes around Byron from 10am-5.30pm so you can explore all of the town without having to worry about parking.